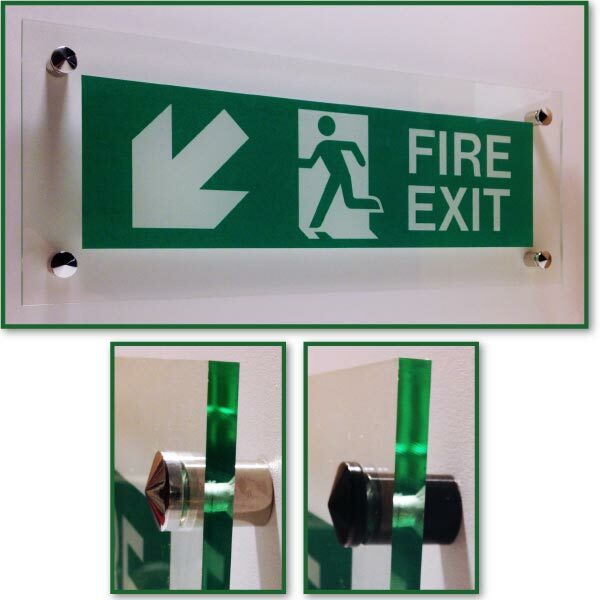 A polished Acrylic Fire Exit sign (green edge/glass effect) wall mounted, complete with chrome or black stand off wall spacers, screws and chrome or black coverhead caps, with BS standard legend. 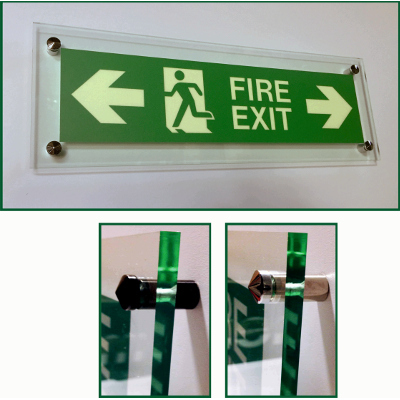 If you require these in EEC directive legend please contact us. 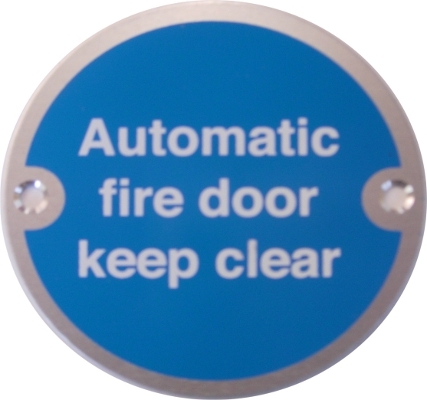 Please click "Buy Now" to use drop down menu to choose arrow direction and fixings choice. Unfortunately we are unable to deliver to the Isle of Man. Please contact us for costs and delivery times for: The Isles of Scilly, Isle of Wight, Channel Islands, Republic of Ireland, Scotland, The Scottish Isles, Northern Ireland and The Republic of Ireland. 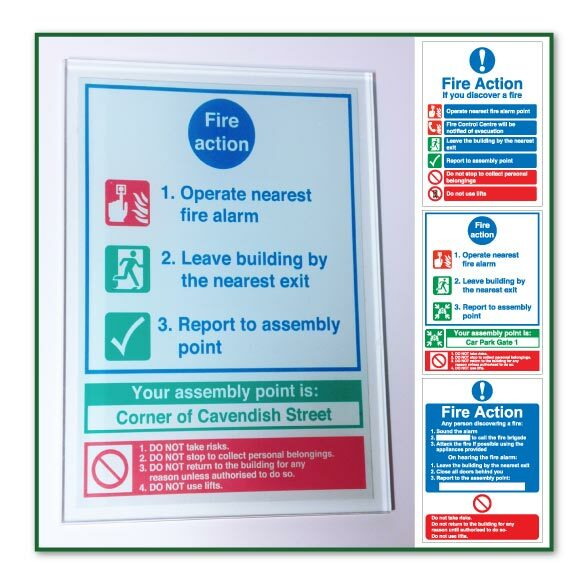 To find out more about our made to order signs and displays please use the menu below to visit our bespoke division website.